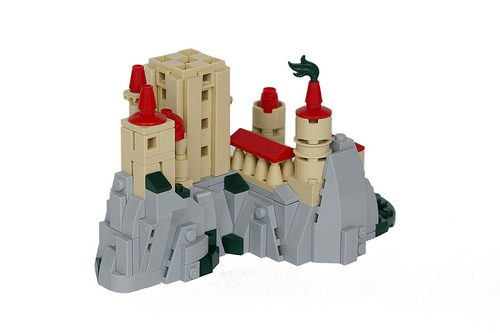 This tiny castle by -soccerkid6 was built as a prize for a castle building contest but stands on its own merits as a great microscale model. Many different red elements make great roofs, and I love the ice-cream cones inverted under that long hall. 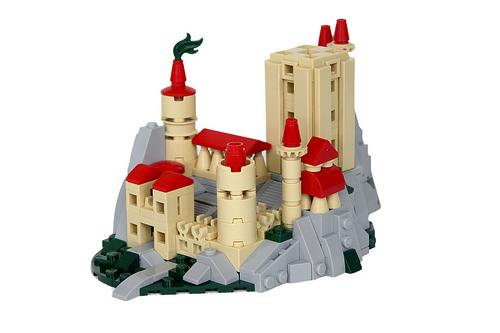 The rockwork is also interesting, with lots of techniques normally found on much larger builds, such as the uneven base and sideways bricks. And in case you are wondering what it looks like from the back–I know I was.